pump are made of stainless steel. The pump has good corrosion resistance to organic acids, organic compounds, alkali, neutral solution and some gases. Double-helical groove carbon graphite bearing and hard alloy shaft sleeve have strong wear resistance which ensures the long service life. It is an ideal pump to transfer corrosive medium without leakage. 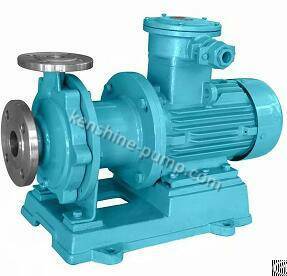 Company Name: Kenshine Pump And Valve Mfg. Co., Ltd.